What Filipinos have in common wherever we are aside from our love for pasalubong? We love to share stories. Trials, success, and any mundane we find interesting. I never thought of becoming a blogger. Have you? Or should we say blogging has found you. And if you are having doubt, START blogging anyway. I’ll show you how you can start blogging and DON’T worry about codes or any technical setup. Tech-related topics are not part of this post. Maybe just a bit. We’ll start with simplicity in mind. Start blogging for free or spend a little or more. It’s up to you. Fun Fact: PwedePadala.com is my 7th blog. I started blogging without spending anything in the first few blogs. Some are still on the Internet. Some passed into oblivion that no search engine can find. Over the years, I’ve tried different platforms and tools. It was a trial and error. A lab experiment where I don’t have to spit or shed blood. With confidence, I can say that I move on to better choices which I would like to share with you. Disclosure: This post have affiliate links (not all) of services that I am using myself and would highly recommend to all bloggers of varying niche. I started blogging on Blogger and my first blog is still on the Internet according to Google. Then I tried for WordPress.com for a while. Both of platforms are easy to use and set up. There are other platforms but I would suggest you to try what I’ve mentioned earlier. OK, I would be honest and say that I am biased and would recommend WordPress.com simply because it’s easy to use. But it’s just me. Feel free to try other platforms you’re comfortable with. Don’t overthink. Choose one and start blogging before your furry pal outgrow his suite. By now you can probably tell that I love WordPress and wouldn’t try any other platform because I don’t have to. Just like WordPress.com, WordPress.org is FREE to download and install to your heart’s desire. WordPress.org is a an open source content management system (CMS). You will need a hosting company to, well, host your site. It’s a virtual space for all your content (post, photos, videos, etc.) organize by WordPress. Now that you have an idea on what is the best CMS to start with, let’s see what else you have to know especially if you decided to start with a self-hosted blog. By now I guess, you’ve chosen the right platform (WordPress) for your stories and readers. It’s time to introduce you to other tools that can make blogging fun and productive. Have you thought of a name for your blog? That name is called domain name and you get to buy as many as you want. But really, you should spend time thinking the almost-perfect name that reflects your purpose/objective and personality. Once you have decided, you can buy a domain name on Namecheap whether you are blogging on WordPress.com, self-hosted WordPress, or other content management system. 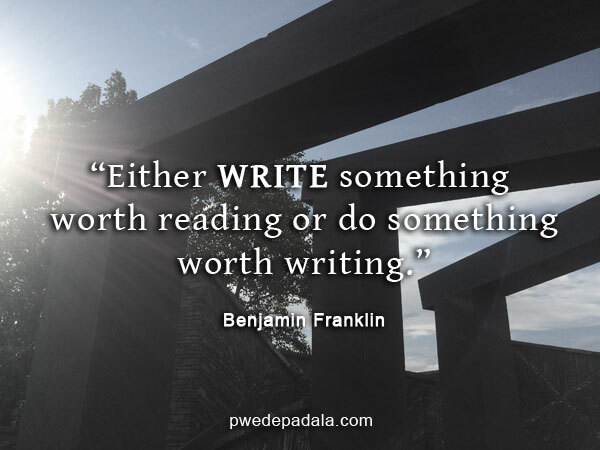 I’ve chosen PwedePadala.com because it’s unique and catchy for my chosen niche (target audience) which is the OFWs in Canada; together, we could learn how to give back, save, and invest. I chose a domain name with a top-level domain (TLD) of .com instead of .ca because the latter can be purchased only by Canadian citizens, businesses, organizations, non-profits and community groups. Although I’m located in Canada, I don’t want a domain name that is tied to a location. So keep this tip in mind when choosing a domain name and TLD. And don’t forget to also get WhoisGuard privacy protection to keep your personal information private online whenever anyone wants to know who owns the domain name. So you’ve thought of a name. (Or still thinking. Hmmm . . . can this cause sleepless nights?) The file that you’ve downloaded on WordPress.org needs an online abode and that is called a hosting company. 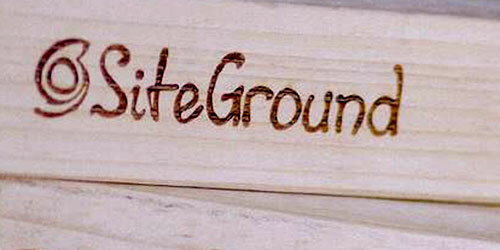 For this, I can only think of Siteground. I’ve tried another hosting company before and had many issues especially when I renewed the following year. I didn’t have any huge issues with Siteground and if there is, the customer support is always there to help me sort out the technical stuff. I started with the basic plan StartUp then easily move on to GrowBig. Whether you have one or multiple websites, there’s a hosting plan that will fit the technical requirements and itch of blogging for whatever you fancy. It’s time to dress up your blog. There are free themes on WordPress.org but with limited features and customization. 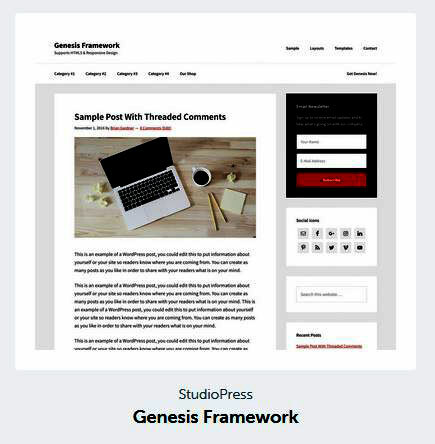 The Genesis Framework comes with a responsive theme, your first step in learning to customize to whatever pleases your creative side without dealing with codes. That’s how I started then move on to a premium theme for more flexibility and productivity. Customization has become an obsession of mine because Genesis makes it easy and fun. But I still look under the hood and tinker with codes whenever I dabble with tutorials and see what else I can improve on my website. If you want something that reflects your personality and don’t want to deal with codes (HTML, CSS, PHP etc) then premium theme is the right tool for the job. I mentioned that I wouldn’t make this post complicated but then I can’t just send you off on the winding road of blogosphere without the important WordPress plugin I’ve trusted for so many years. You don’t have to install all of these WordPress plugins. Start with the basic then install the other plugins whenever necessary to keep up with your growing blog, traffic, and readership. Reminder: Don’t go crazy over using many plugins. If one plugin can do many task as oppose to installing different plugins, stick to that one reliable plugin. Try the approach of minimalism when it comes to plugin. Sometimes the best way to customize the site is to add a few lines of codes instead of a plugin. But only do so after a backing up the blog and follow the tutorial. Have fun with codes but don’t throw caution out the window. We covered the important tools that every blogger should have in a blogging survival kit. Let me know if you have any question. Send me an invite to the launch of your blog about dogs or cactus or whatever. That’s what blogging is all about anyway. You are free to be YOU. Stay in touch: hello[at]pwedepadala.com and Facebook.